The first step to weather proofing brick, stone, concrete, terracotta or any concrete masonry, is cleaning. Cleaning is not only key to keeping masonry looking fresh — it is also an important step in preventing damaging effects from pollutants. Alpine’s building cleaning experience and dedication to using environmentally friendly products has earned the company’s reputation New England’s trusted source for historic building preservation. Although masonry is considered the most resilient of building materials, extreme weather conditions in the Northeast can cause extensive masonry deterioration and water damage. After cleaning brick, stone, terracotta or concrete, applying a sealant will help prevent the damage of water penetration, which is crucial to its preservation. 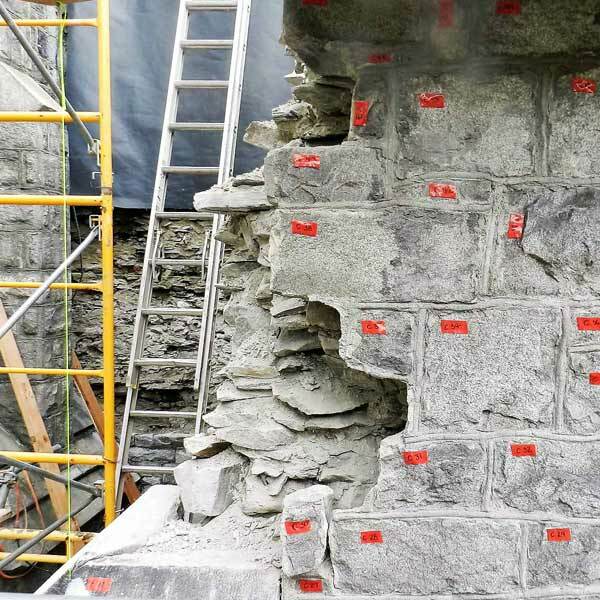 Historic masonry structures often require the lost art of tuck pointing restoration. The strategy itself involves the use of two different colors of mortar, one of which is identical in hue to the bricks themselves. This technique — an Alpine specialty — combines the critical maintenance task of keeping water out with the historic art of masonry craftsmanship. The result? A consistent, attractive texture that celebrates the building’s esthetic and structural integrity. Alpine can save you downtime and expensive material replacement costs with concrete restoration of walls, floors and parking garages. Repairing of damaged expansion control joints can be done with little interruption to your facility, even while it is occupied or in use. Although Alpine can repair individual damaged surface, full restoration is recommended to revive structural integrity. Create a new look — or function — of your structure with alterations and architectural enhancements. Working closely with a design team, Alpine can modify nearly any building or structure by replacing or incorporating new materials. And, Alpine is not limited to bricks! 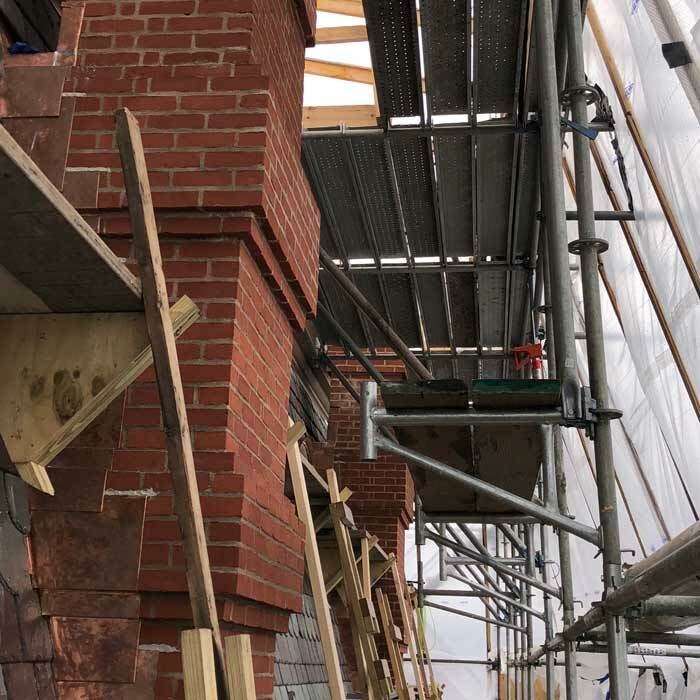 Alpine masons’ expertise includes terracotta, prefabricated panels, veneers, facades, structural tiles and cultured stone. Caulking — in the world of masonry — is a seemingly simple task of sealing gaps in metal, concrete or brick to protect against water or air damage. However, knowing which types of caulking to use for specific tasks — and proper application techniques — is the key to its longevity. 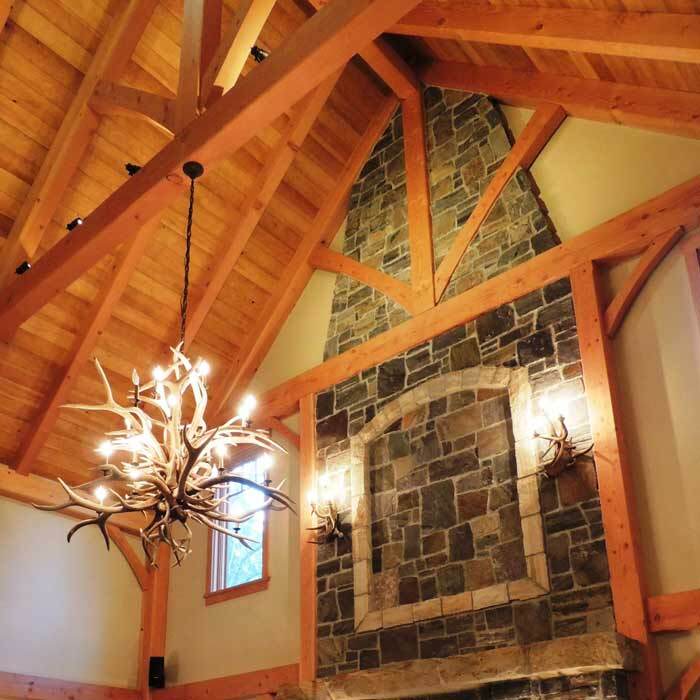 Whether your project requires acrylic latex, butyl rubber or silicon caulk, as certified applicators for most sealant manufacturers, Alpine masons will ensure your project is done right — the first time. Alpine Restoration will save you time and money thanks to their expertise and certifications in stone reconstruction. 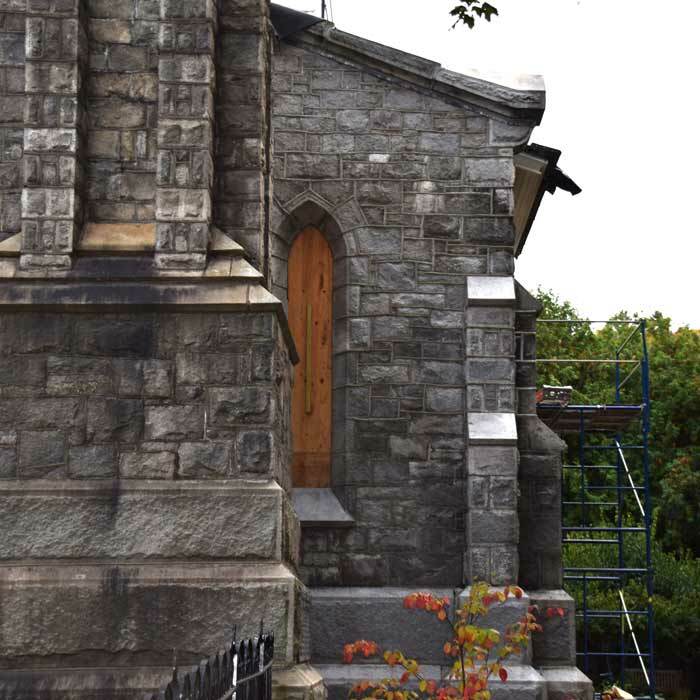 At a fraction of the cost of replacement, Alpine will repair the structure with a durable cement-based mortar formulated to match the physical appearance of natural stone and terracotta. Alpine specializes in knowing the effects that New England’s seasonal changes and harsh winters have on masonry structures. And — the ever-changing Vermont building requirements. With over 30 years of experience with stone, tile and masonry — from installation and restoration to maintenance — Alpine’s valuable insight on your project can help you save on costly repairs later. Alpine also can act as an intermediary between designer and contractor on projects that are already in progress.